Coronado Campground is at the Northwest corner of Hwy 550 and the Rio Grande river in Bernalillo, NM, just 15 minutes north of Albuquerque. From I-25, take the 242 exit and drive West on Hwy 550, approximately 1.7 miles. Just after Hwy 550 crosses the Rio Grande, turn north into the Coronado Monument entrance. Coronado Campground will be on the right, just before you enter the Coronado Monument property. In the Introduction to Kayaking (Level 1) course, you learned the essential skills necessary to paddle effortlessly and efficiently on flat water. This includes simple rescues for the most common accidents and how to help others who may be in need, strokes and concepts that will move your kayak 2 - 3 times it's length with every stroke and the one bad-habit that most self-taught paddlers have, that costs more than 90% of their energy. This common mistake makes paddling on any type of water much harder than it needs to be, regardless of the type of kayak or fitness of the individual. Essentials of Recreational Kayaking (level 2) picks up where the Introduction to Kayaking (level 1) leaves off. On this 4 mile Rio Grande Bosque river trip, we'll build on the strokes you learned in the pool and apply them to gentle moving water. Once the basic strokes are mastered on moving water, we'll learn how to combine strokes for effective maneuvers in mild current. We'll discuss four hazards common to most river trips, including class I, how to spot them and what strokes or maneuvers work best to avoid them. You'll practice the strokes that make your boat glide across the water. You'll also learn how to read the river like a book and easily spot the energy that can help you move downriver faster, sideways across the current, or upstream against the current. The Rio Grande Bosque in Albuquerque, New Mexico from Brent Hall on Vimeo. 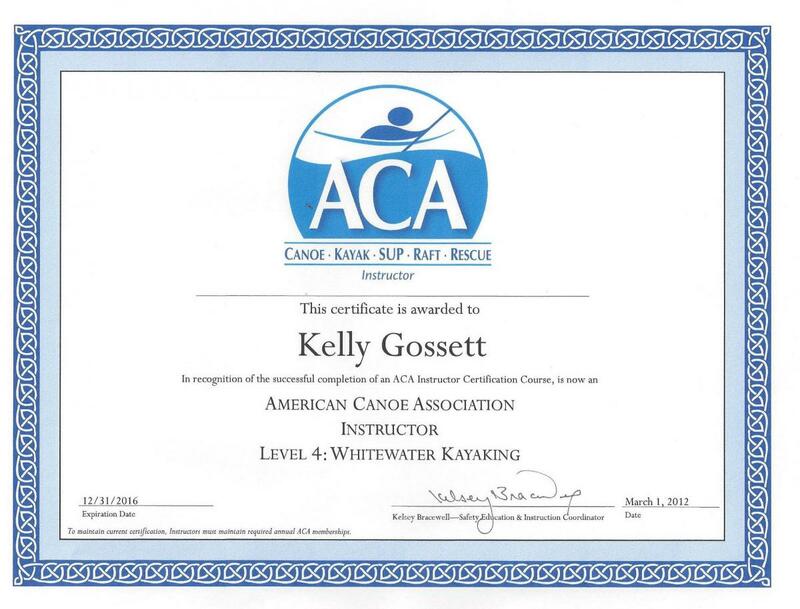 Introduction to Kayaking (level 1)or "Level 1 Assessment" from another ACA certified instructor. Instructors who work with kids are required to pass the same background and fingerprinting checks as required by Albuquerque Public Schools. Our instructors are also leaders in their communities, and in their professions. You'll learn more in this 4-hour class than most people would learn in several seasons of informal training. We're so confident your skills will increase, that we'll guarantee it! If you don't feel more confident, more in control and more excited about paddling, we'll donate your course fees to your favorite charity, in your name! Payment in full is due within 24 hours of registration. No spot is reserved until full payment is received. Your payment is a reservation for an event with limited capacity. Cancellations or rescheduling request 4 or more days before the scheduled event are entitled to receive a refund, less a $25 cancellation fee. We're sorry, but cancellations or no-shows within 3 days of the event are non-refundable, and non-transferrable.